This 60″ by 27″ sign is tall and orange. There are accent colors of black, white, and red. 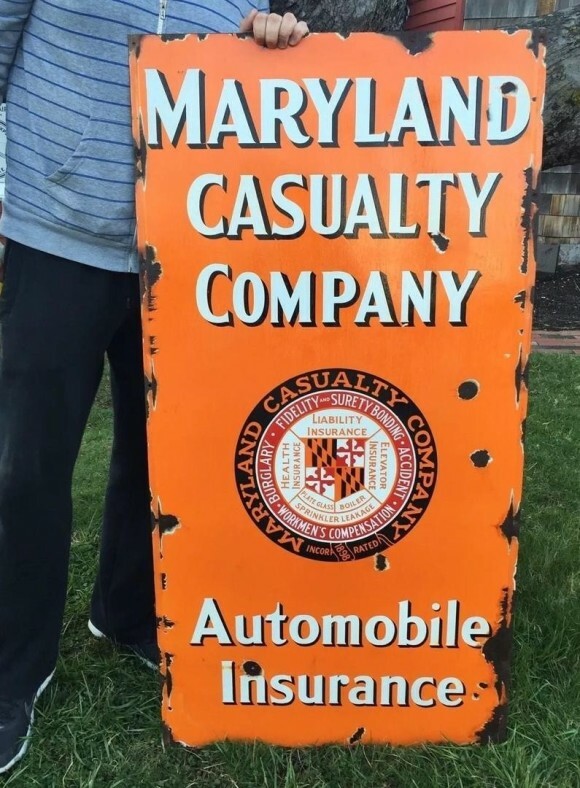 The sign has text that reads “Maryland Casualty Company, Automobile Insurance.” There is a large circle logo in the center.